In the 19th century the Russian government deported around 1.2 million prisoners to Siberia. Most of the revolutionary leaders in Russia spent time in Siberia. This included Lenin , Leon Trotsky and Joseph Stalin. 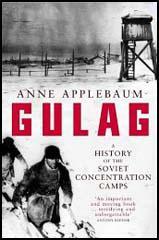 After the Russian Revolution the labour camps in Siberia were closed down. These were later reopened by Joseph Stalin and opponents of his regime were sent to what became known as Glavnoye Upravleniye Lagere (Gulag). Probably the worst of the labour camps was at Kolyma. Located in north-eastern Siberia, temperatures drop to -90 degrees during the winter. About 30 per cent of the prisoners in Kolyma died each year. People sent to the Gulags included peasants who were accused of "individualistic tendencies" and opposed the establishment of collective farms. Large numbers of Ukrainians, Kazakhs, Uzbeks, Kirghiz, Mordovians and Caucasians fell into this category. The theory of Socialist Realism was adopted by the Congress of Soviet Writers in 1934. Approved by Joseph Stalin, Nickolai Bukharin, Maxim Gorky and Andrey Zhdanov, Socialist Realism demanded that all art must depict some aspect of man's struggle toward socialist progress for a better life. It stressed the need for the creative artist to serve the proletariat by being realistic, optimistic and heroic. The doctrine considered all forms of experimentalism as degenerate and pessimistic. Experimental and non-conformist writers such as Yevgeni Zamyatin, Isaac Babel, Boris Pilnyak, Nickolai Tikhonov, Mikhail Slonimski, Vsevolod Ivanov, Victor Serge, Vladimir Mayakovsky, Sergei Yesenin, Konstantin Fedin, Victor Shklovsky, Mikhail Zoshchenko and Alexander Solzhenitsyn suffered under this policy. Zamyatin and Serge managed to leave the country, whereas Mayakovsky and Yesenin committed suicide. Writers who refused to change, such as Babel and Pilnyak, were executed or died in labour camps. Joseph Stalin was particularly suspicious of people who lived abroad or had relatives abroad. This included foreign communists who had fled to the Soviet Union to avoid persecution from their own governments. In 1937 Nikolai Yezhov, head of the NKVD Secret Police, arranged for large numbers of these communists to be arrested and deported to Siberia. A high percentage of these foreign communists were Jews from Germany, Austria and Hungary. Large numbers of people living along the western frontier of the Soviet Union and Chinese and Koreans who lived along the eastern border were deported to Gulags in the interior just before the outbreak of the Second World War. 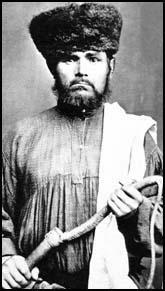 Others were sent to labour camps because of their religious beliefs. This included Catholics, Baptists and members of the Ukrainian Orthodox Church. During the Second World War people sent to Soviet labour camps included collaboration with the enemy under the occupation, prisoners of war, and men and women taken from Nazi Germany. 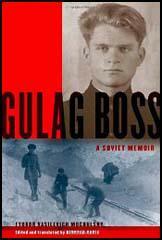 It is estimated that around 50 million perished in Soviet gulags between 1930 and 1950. No creative activity is possible in an atmosphere of systematic persecution that increases in intensity from year to year. In each of my published works these critics have inevitably discovered some diabolical intent. Regardless of the content of a given work, the very fact of my signature has become a sufficient reason for declaring the work criminal. Of course, any falsification is permissible in fighting the devil. I beg to be permitted to go abroad with my wife with the right to return as soon as it becomes possible in our country to serve great ideas in literature without cringing before little men, as soon as there is at least partial change in the prevailing view concerning the role of the literary artist. (4) When Osip Mandelstam was being investigated by the Secret Police he went to see the short-story writer, Isaac Babel, who was still a member of the Union of Soviet Writers. The meeting was later recorded by Mandelstam's wife, Nadezhda Khazina. (6) Nikita Khrushchev was critical of Stalin's cultural policies implemented by Andrey Zhdanov.